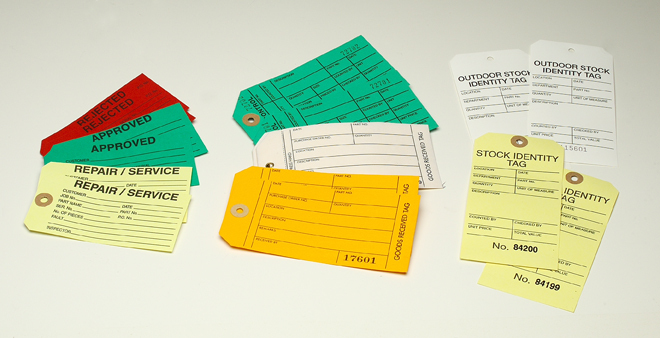 Industrial tags to identify stock, stock control tags and quality control tags, special tags can also be produced. Highly visible identification. Our quality industrial tags are suitable for indoor and one for outdoor use, in a wide range of applications throughout the warehouse and factory. Available immediately from stock in quantities of 100 they ensure accurate stock and inventory control. Bespoke tags in various sizes can be supplied printed on one or two sides – please contact the sales office for further details.